The Horseshoe Valley in central Ontario is known for it's skiing and outdoor recreation. It's a beautiful area located an hour north of Toronto between Barrie and Midland, near the Georgian Bay. 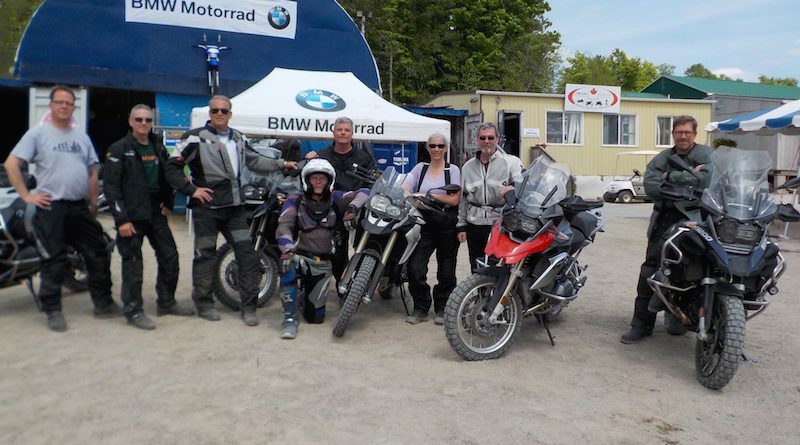 It's also home to the BMW Performance Riding Centre for BMW Motorrad Canada. 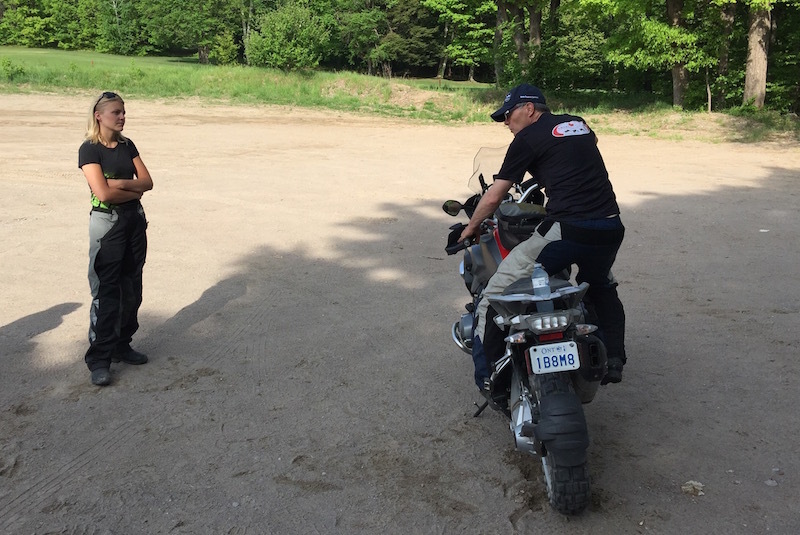 The team at Smart Riding Adventures led by Clinton Smout have trained thousands of dirt-bike riders at their school at the Horseshoe Resort, but also began offering the 2-day BMW Intro to Adventure course about 6 years ago. 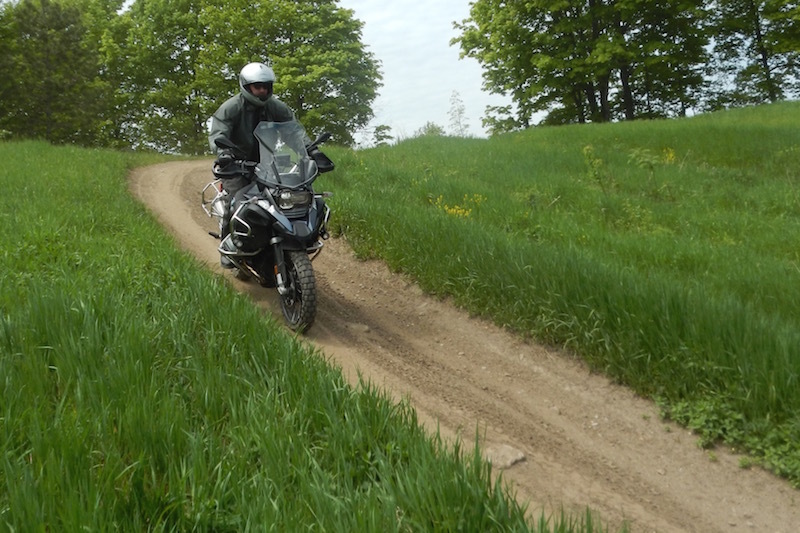 This is the same curriculum as used at the BMW Performance Training Center in South Carolina and as used by RawHyde Adventures. But this is less than 300 miles from S.E. Michigan with an excellent Lake Huron / Georgian Bay ride between here and there (unless you WANT to drive through congested Toronto). Plus, this school costs less than half the other locations before you consider the 30% currency premium that we have on the Canadian dollar. It's a bargain. Plus - no airfare. I attended May 27th-28th. The classes go from 9-3:30 each day. While it was hot, after each drill we would take a cool down ride through the trail system to cool down. The local trails may be worth the trip over by themselves. A highlight for the Michigan riders is an area Clinton calls 'The Sahara". It's a dry lake bed / dune with sand a few feet deep. Great for building skills for the up north trail systems. It's an easy ride from Sarnia if the 402 doesn't shut down from a truck accident. You'll need a passport or enhanced drivers license to cross the border, but other than that it's like home. Except they spell 'center' wrong.